UFC GYM is the largest boxing, kickboxing and mixed martial arts franchise network in the world, with almost 150 open locations in the United States and Australia, and we are growing fast as Americans embrace the opportunity to Train Different® and have fun while achieving personal fitness and skills acquisition goals. This isn’t a boring gym where you are confined to a treadmill or a stair machine. Instead, UFC GYM uses mixed martial arts, personal training, specialized equipment and attention to healthy eating to help customers reach their fitness goals. The UFC GYM franchise is a place for the whole family, and it’s more than merely a gym. Its Train Different® approach fuses mixed martial arts training with state-of-the-art equipment and traditional fitness programs. By providing a full range of group fitness classes, private coaching, personal and group dynamic training, plus MMA-style youth programs, UFC GYM is able to appeal to all ages and fitness levels — and by combining mixed martial arts and fitness, UFC GYM's Train Different® techniques help members see their health, fitness and agility rapidly improve. Our fitness centers, conveniently located in shopping centers and grocery store plazas, are found in twenty-five states across the country. We plan to open 100 more locations in 2015 in the U.S. and in Canada. 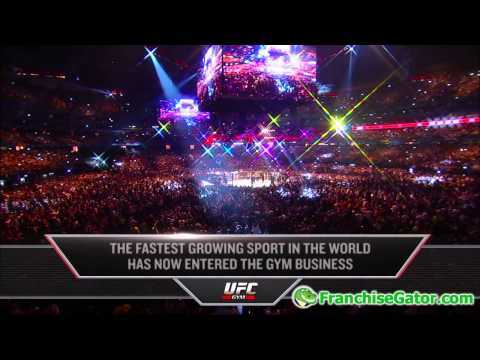 The total investment for a new UFC GYM franchise ranges from $390,257-891,007. Our turn-key and semi-absentee operation allows franchisees to quickly open and operate multiple locations. That’s important, because the popularity of the UFC® brand is exploding, which is creating opportunities for entrepreneurs to take the UFC® brand and use it to build a powerful business. The UFC® brand provides instant recognition for franchisees. Through television deals, our sporting events reach viewers in Canada, South America, Europe, Australia, the Middle East and Asia. 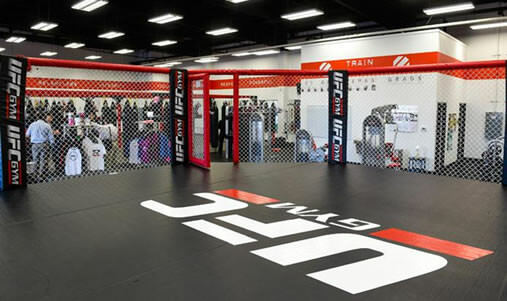 UFC GYM franchisees are able to attract customers and benefit from gym membership dues, the sale of group and individual training programs, and merchandise sales. UFC GYM is currently accepting inquiries from the following states: Wyoming, West Virginia, Wisconsin, Washington, Vermont, Virginia, Utah, Texas, Tennessee, South Dakota, South Carolina, Rhode Island, Pennsylvania, Oregon, Oklahoma, Ohio, New York, Nevada, New Jersey, New Hampshire, Nebraska, North Dakota, North Carolina, Montana, Mississippi, Missouri, Minnesota, Michigan, Maine, Maryland, Massachusetts, Louisiana, Kentucky, Kansas, Indiana, Illinois, Idaho, Iowa, Georgia, Florida, Delaware, Washington, D.C., Connecticut, Colorado, California, Arizona, Arkansas, Alabama, Alaska.